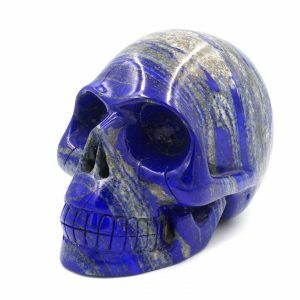 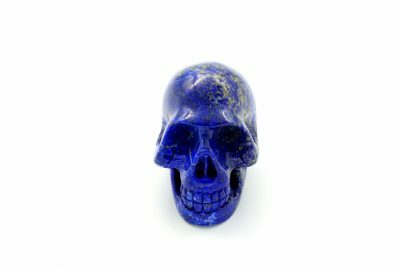 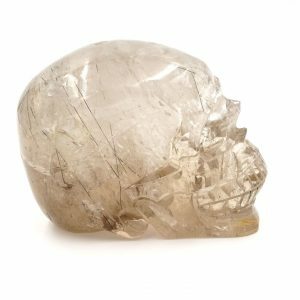 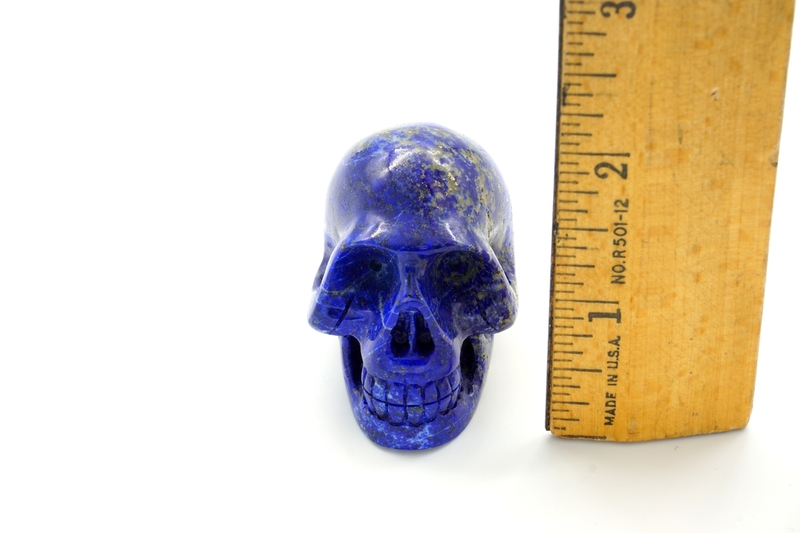 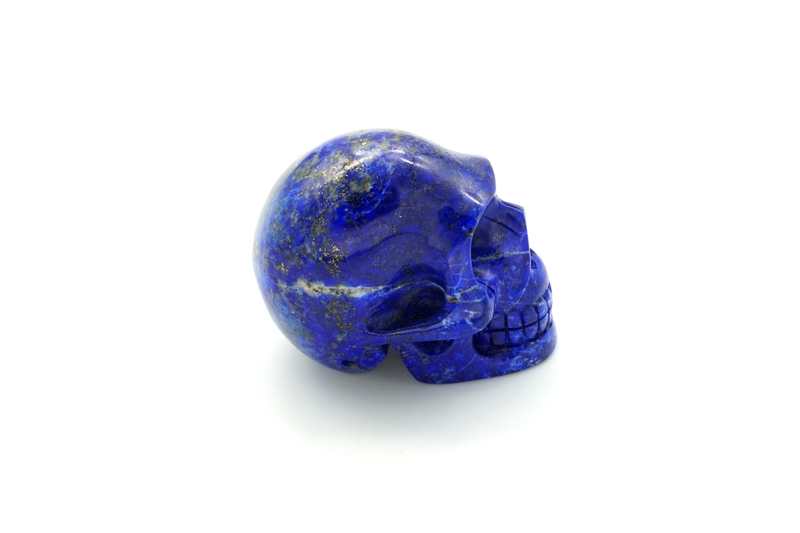 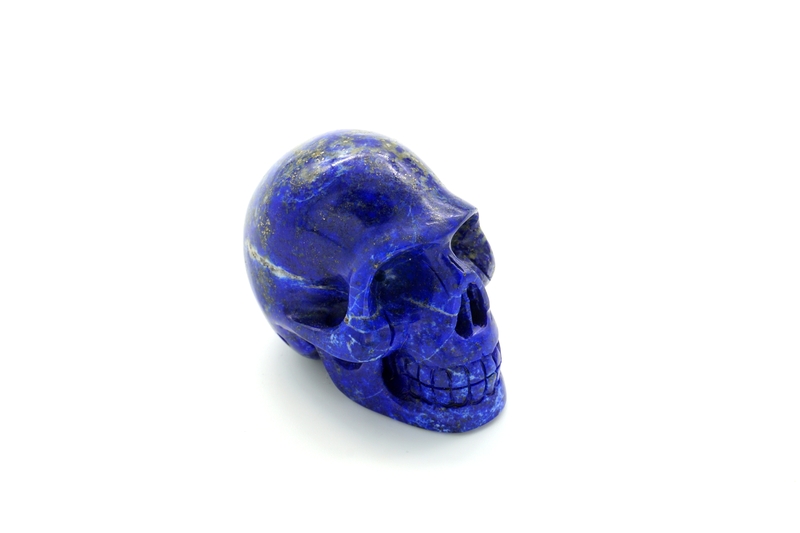 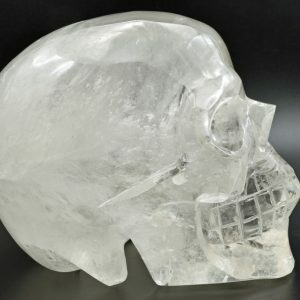 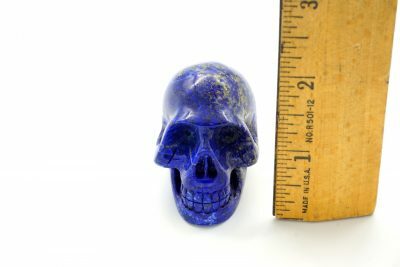 Lapis lazuli skull with pyrite inclusions. 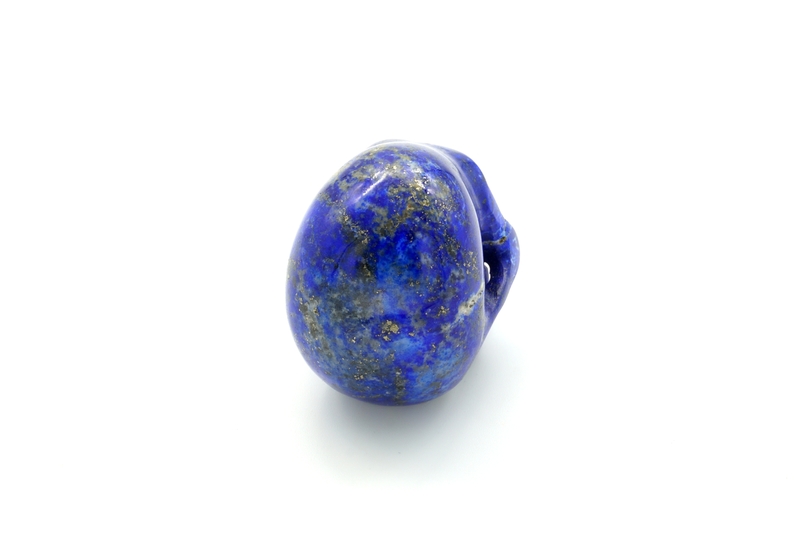 The name lapis lazuli comes from lazhuward, the Persian word for “blue,” and lapis, meaning “rock.” This beautiful royal blue stone, with a hardness of 5 to 6, is a sodium aluminum silicate which often has inclusions of pyrite and white calcite. 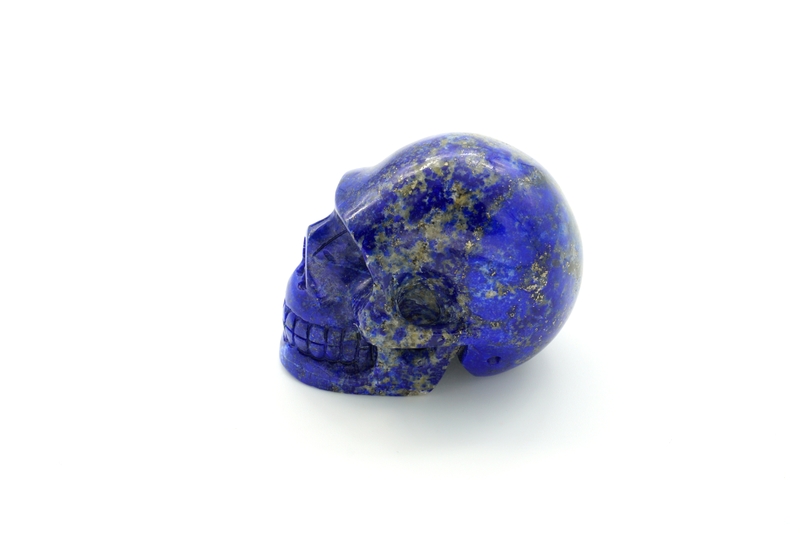 Ancient Egyptians used powdered lapis for medicine and eye shadow. It was also made into jewelry and carved into scarabs for tombs and burial chambers. 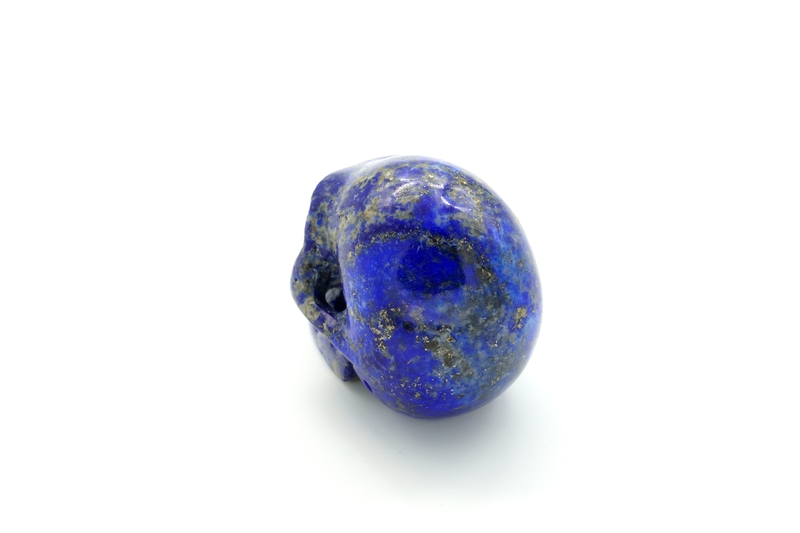 Catherine the Great decorated a room in her palace with lapis lazuli walls, fireplaces, doors, and mirror frames. 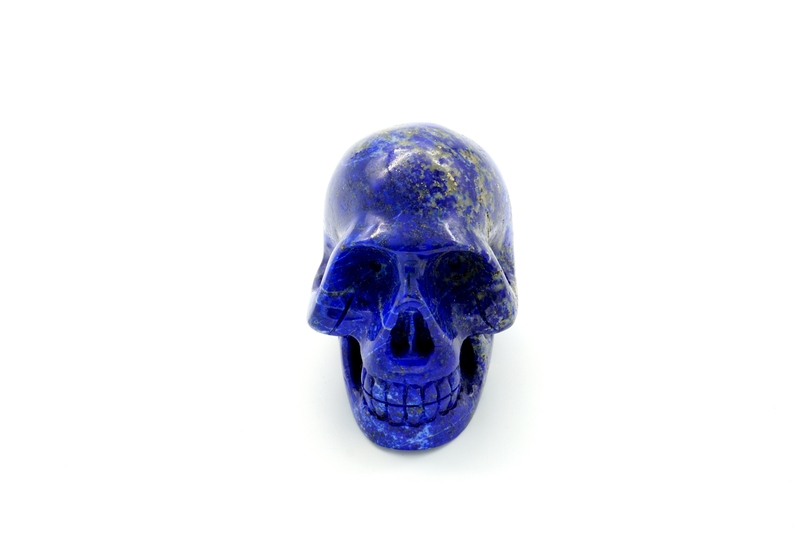 Lapis is believed to bring inner peace and freedom from negative thoughts. 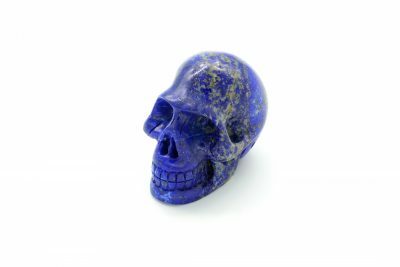 It can help one learn more effectively and is excellent for enhancing memory. 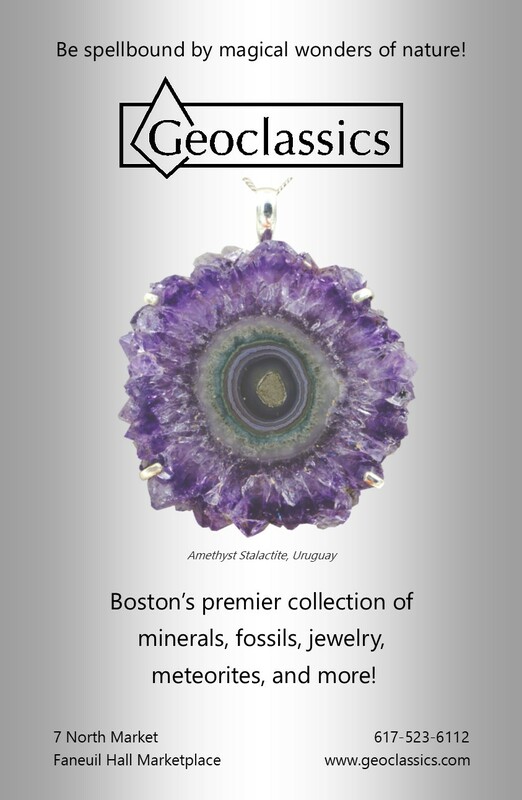 The finest lapis lazuli deposits come from the West Hindu Kush Mountains of Afghanistan, and it is also abundant in Chile.